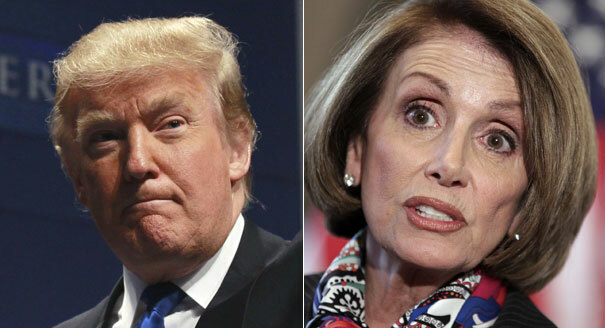 Nancy Pelosi wrote and asked President Donald Trump for a delay of the State of The Union Address on Wednesday. President Trump did not immediately respond to Pelosi's letter. But on Thursday, a letter went from President Trump to Pelosi, postponing her journey outside the country. The same reason Pelosi had offered for her suggestion to delay the State of the Union Address - government shutdown that Trump advanced in his letter grounding her journey. One week or so before Pelosi's letter to President Trump, the Democrats had stopped negotiations for a way forward on the wall imbroglio and the need to reopen government. Vengeance has displayed its face in this part of the world from the days of President Barack Obama's administration. It is also possible that vengeance has been in place before Obama, and that Obama merely became a victim of the act from the Republicans - who stalled some of Obama's programs and Obama embarked on the use of executive power for survival as president. What did the Republicans suffered in the hands of the Democrats before Obama's administration that was responsible for the Republicans' acts? The question is pertinent, because the Republicans act during the Obama's administration is the root of the present antagonism by Democrats, over the wall funding.with ludicrous and strange songs such as wall is immoral, need for technology and not wall etc. Remove the vengeance act, everyone knows that America needs a wall in the southern border with Mexico to stop free inflow of illegal immigrants, illicit drugs and dangerous criminals from around the world into the country. No other person has mentioned this fact than William Barr during his confirmation hearing on Tuesday. And for this truth Senator Kamala Harris of California had already said she would not vote for Barr's confirmation as attorney general.And she is running for president! Barr said the truth. Fast food workers are demonstrating asking for better pay beyond the minimum wage. What has been responsible for low wage amid increase in rent and standard of living? Isn't it myriad availability of cheap labor and illegal immigrants readiness to offer their service at the lowest pay and and incapacitating legal migrants in seeking higher pay? Already, about 2000 Hondurans have set out on their way to the United States. According to one BBC report based on interview of the Hondurans, many of them are being forced out of their country by economic reasons. No single one has advanced a reason permissible for Asylum application. It is a good development that the vengeance has blown into the open here. It can be managed.But it will require the sincerity of all players to be ready to work to eschew hate, because without hate there can be no vengeance. The cause of the hate between the Republicans and the Democrats must be established. It is certainly not the election of Trump that is the root, but his election or his defeat of Hillary Clinton has exacerbated it. Trump is swimming in the hate from the Democrats and he is returning in the best possible way available to him. Schumer had told Trump to return to his senses and Trump had said when the Democrats return to their senses. Respect for one another has been thrown into the winds. The letter from Pelosi to Trump .without having first clarify from the Secret Service or the Department of the Homeland Security and the grounding on Pelosi on Thursday from a journey abroad is a force of the vengeance on the land. Of course, Pelosi did not need to have written the letter, just as Trump did not need to ground her. And they both hid behind genuine reasons to advance their positions, but we all know they are wrong. And the Republicans are talking about having the State of the Union Address in the senate, and that it is good for Pelosi to remain here to negotiate the wall funding and re-opening of government. One can almost sense the national emergency coming as a solution to the political impasse here.